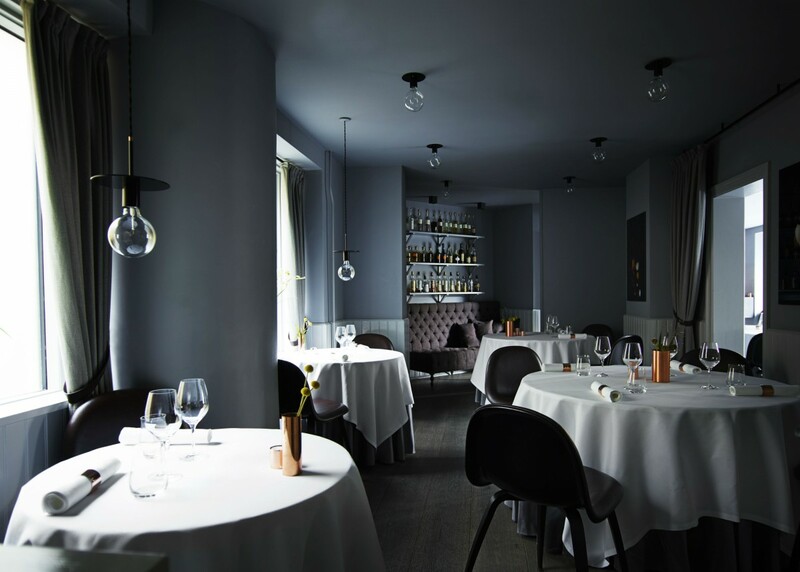 Kokkeriet is a discreet secret, well hidden in Nyboder’s charming neighbourhood in one of Copenhagen’s beautiful, old buildings. Located on the corner of two of the more quiet streets, the large glass fronts to both sides of the restaurant give you a feel of the surrounding neighbourhood, adds a mellow flow of light, while the intimate atmosphere of the entire experience – with the food on the plate in focus – is still preserved and enhanced. 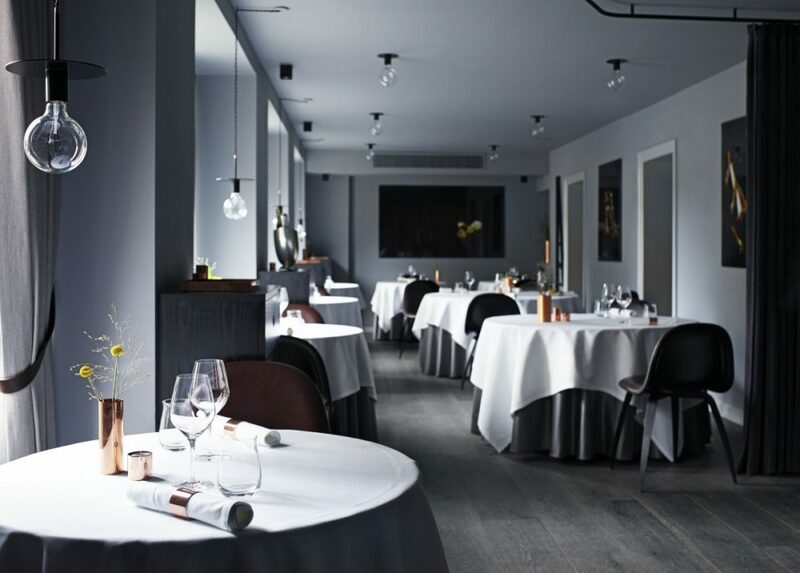 The glass fronts also make it possible to follow the chefs’ work throughout the day, while they prepare the menu for the evening. 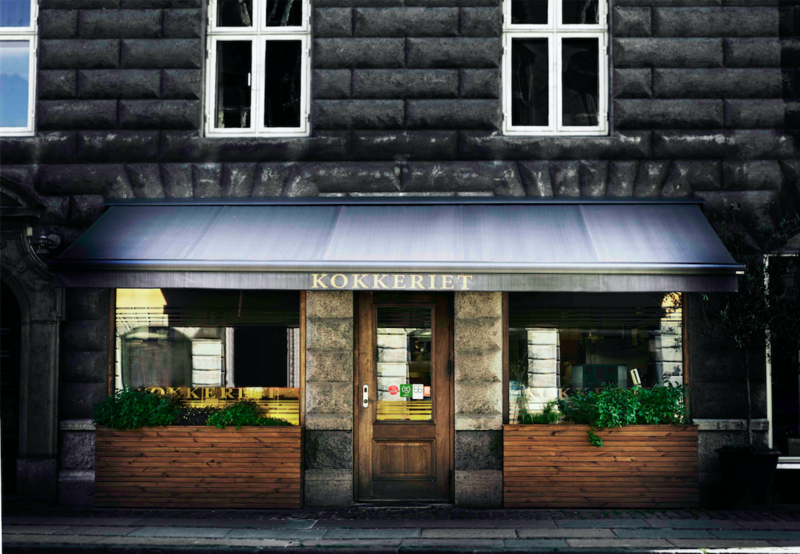 Katrine Martensen-Larsen has helped Kokkeriet undergo a thorough change of design and interior, from tables and soft leather chairs down to the butter knives and our beautiful, new porcelain breadbaskets. We are very proud of the result, and we are looking very much forward to welcoming you to the new Kokkeriet. You can read more about KLM-Design here. Take a virtual tour of the restaurant and our private dining room below. Filip and Eva were once among our most faithful regulars. Every month they came to dine at Kokkeriet, but also, when on their way home from other restaurant visits, they popped by for a coffee and an avec to share their dining experiences with us. Whether you are on your way home from another restaurant, need a unique ending to your dinner at home or are maybe just starting on your way out into town … Whether it’s a grey Monday or thrilling Saturday, you’re more than welcome to stop by. When we have said goodbye to the first of our dining guests, we make room for you. It is our hope and wish to make these After Hours as cosy and informal as possible. So we encourage you to just give us a call when you feel like stopping by. We always answer the phone and are open until 1 am, Monday to Saturday.